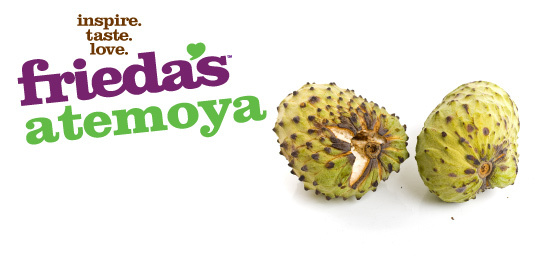 This fruit is similar to a Cherimoya. Its shape and skin may have protuberances or be smooth, and turns from green to yellow at maturity. Atemoyas have a sweet, white, custard-like pulp with seeds. Peel and remove seeds. Enjoy alone, add to desserts, ice cream or milk shakes. Store at room temperature until yellow and slightly soft. Refrigerate up to 2 days. Currently unavailable; extremely limited supplies.